ME – Ricardo Teixeira – Transforming lives and accelerating productivity! Probably KAMAE RT wouldn’t exist if a 10 year old boy wouldn’t had access to a computer – at the time the famous SPECTRUM – and if didn’t had the idea that around that technology – rudimentary for our current standards – could be the base of a business. This was the seed that allowed, since 1997, the development of a ten year old child’s dream. But, since dreams don’t come true only because we want to, building this dream had several stages. Ricardo’s education began in the Scientific Technologic Informatics Area in high school and then in college he studied Computation Science in the Mathematics Field. During college education were made the first steps in the current activity of KAMAE RT: software development. At the time the development was made as freelance and by custom to national companies. During this time it was defined and idealized the project KAMAE RT. After a professional stay at the INE (National Institute of Statistics) the decision to embark in this adventure and put the project in practice was taken. The child, now an adult, registered as independent entrepreneur and dedicated himself 100% to his project, to his dream. The begging of the activity concentrated in the selling of hardware, development of web sites and informatics consultancy to national companies. 1997 formal launching of KAMAE RT with head offices at Av. Fernão de Magalhães in Coimbra. 1998 Beginning of the development of the software KamaeLei that is born from the analysis of the market that was craving for technology and didn’t had solution. Also at his time TELEPAC subcontracts for the development of websites. 1999 Starting of the development of KamaeGest which first version was launch in 2011 (the launching was made during the INFORPOR 2001). 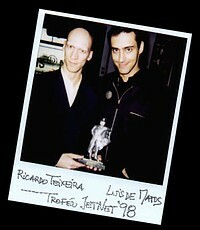 It was also in 1997 that was given the prize JETNET for the development of the website of the magician Luís de Matos. 2000 Was the year of first office’s move that became necessary due to growing of the development and commercial team that supported the two products at the time: KamaeLei and KamaeGest. Prize to the management field with the software KamaeLei. 2003 New office’s move and new commercial strategies. New sales strategy that included the selling of KamaeGest through a national resale channel with two companies from the informatics area spread through the national territory and the colocation of products in large stores (FNAC, Sector Zero, Staples, Chip7, Leclerc, among others) as part of the strategy that allows clients to easily access our products. This was the year when KAMAE RT renovated its image and participated in the European social responsibility project EQUAL. 2004 may be considered the BOOM year in terms of number of products sold by KAMAE RT that escalates from 2 to 20. KAMAE RT develops and sells multimedia courses on Informatics User, Management and Languages. Also during this year, and to complement the management applications KamaeGest and KamaeLei, KAMAE RT launches KamaeBanc, a bank management software. 2005 is the year when KAMAE RT finished the launching of project TIM that had started in 2004, a project in the area of Development of Software Engineering. This way, nowadays, and in the beginning of this new year, the ten year old boy with a dream keeps dreaming, together with his team, to whom he daily communicates his KAMAE state of mind, gathered through years of practice of martial arts, to improve the existent products and to create new products.